Tiverton Police Arrest Three After Busting Caper. 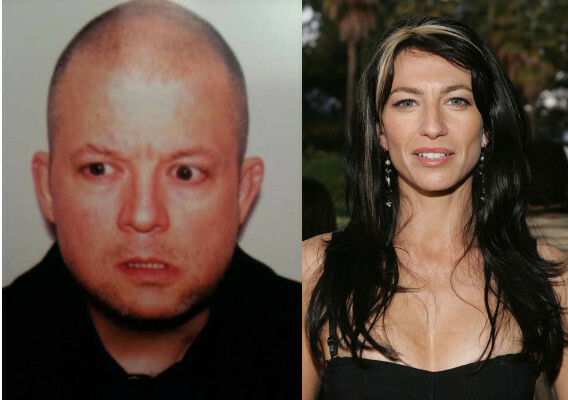 For those of you who aren’t Opie & Anthony fans, on the left is comedian Jim Norton and for those of you who weren’t Stargate SG-1 fans, on the right is actress Claudia Black. If only that was where the weirdness stopped. Nope. Police said the trio were caught with $2,400 worth of stolen items. What did they steal? Police said the items, which consisted of some over the counter medicines, pregnancy and fertility tests, cosmetics and other items, were stolen from across the Island. Is there really a lot of demand for hot pregnancy and fertility tests? We haven’t done much shopping in that market segment recently, but if we we had some questions regarding someone’s pregnancy and/or fertility, $10 for a test from an actual CVS seems a worthwhile premium to sacrifice over the $2 ones being offered in a Providence back alley by a guy who looks like he’s most famous for something called “Monster Rain” and a woman who might be an actress who’s been making a lot of video game appearances now that the rebirth of 90210 got cancelled. Anyway, good work Tiverton PD. If you have any further info on this case, feel free to give the Tiverton Police Headquarters a call at (401)625-6717. ← Previous Story Guess Who Got Named One Of The ’10 Prettiest Coastal Towns in New England’! Next Story → Make Moves With Studio Barre Newport!